Hameed was found guilty of obstruction of justice for refusing to hand over a mobile phone to the police. The High Court overturned Wednesday former Supreme Court justice Ali Hameed’s conviction over his refusal to hand over a mobile phone to the police. A three-judge panel quashed the criminal court verdict citing due process violations and insufficient evidence. Hameed was found guilty of obstruction of justice and sentenced to 19 months in prison along with former chief justice Abdulla Saeed and former president Maumoon Abdul Gayoom. All three were arrested in February on separate charges of conspiring to topple the government. Former president Abdulla Yameen claimed the justices accepted bribes and instigated a coup with the Supreme Court’s February 1 order for the release of his jailed opponents. Following Yameen’s election defeat, the High Court overturned Gayoom’s conviction on the same obstruction of justice charge. Former Chief Justice Abdulla Saeed and former Justice Ali Hameed were tried unfairly and they must be released, says former president Mohamed Nasheed. Nasheed said this while speaking at a rally in Meedhoo island of Addu City, Justice Saeed’s native island, and called on judicial authorities to facilitate their release. 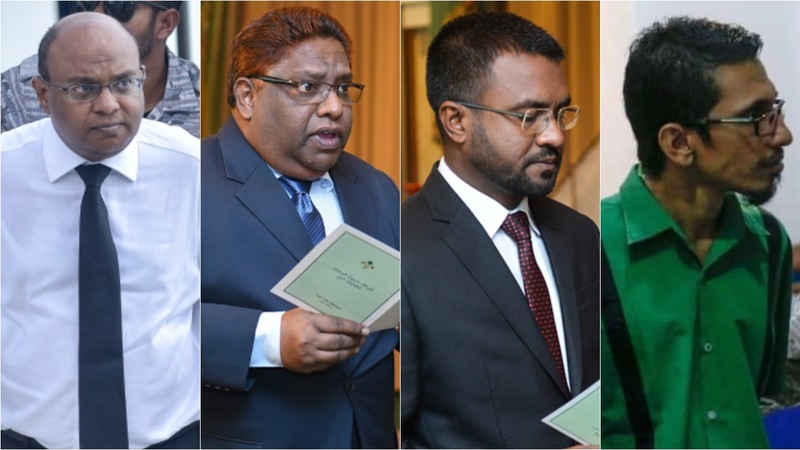 The Criminal Court in May sentenced the apex court justices to nearly five months in prison, on charges of obstructing government administration and justice. 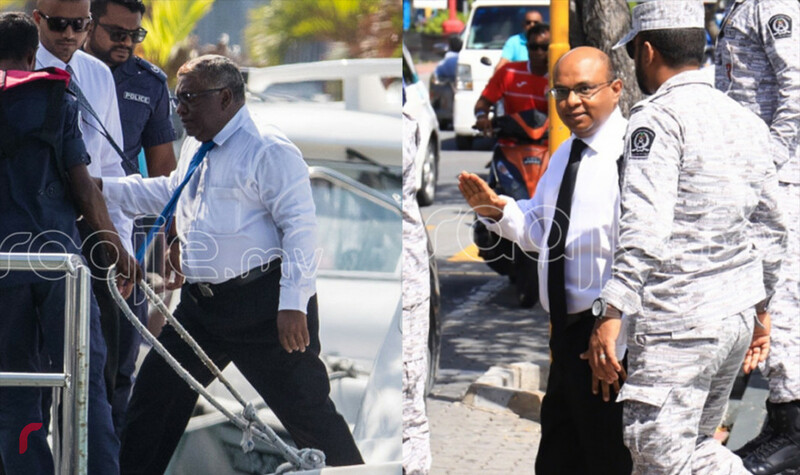 The justices were arrested in February, along with former president Maumoon Abdul Gayoom – whom Nasheed defeated through ballots in 2008 – during the political crisis that ensued after the Supreme Court ordered the release of political prisoners. The Criminal Court on Wednesday annulled the bribery charges levied against former Chief Justice Abdulla Saeed and former Judge Ali Hameed of the Supreme Court. Saeed and Hameed were arrested and indicted of several charges over the top court’s landmark ruling of February 1 to release political prisoners. 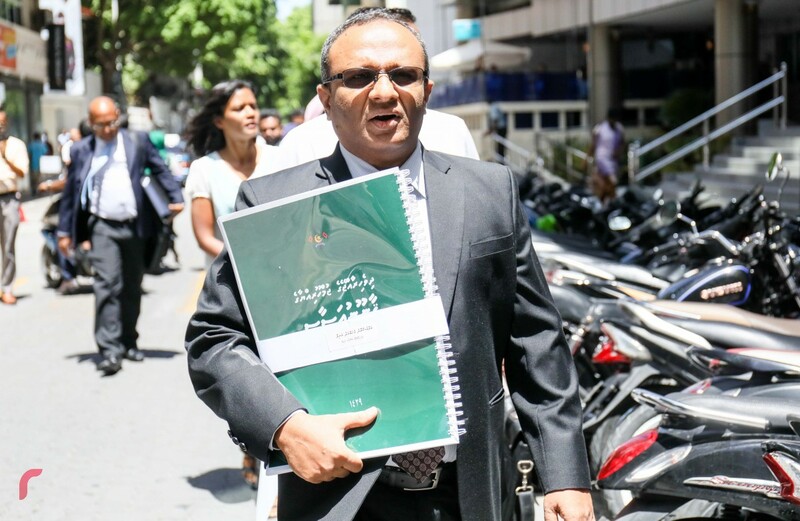 The state charged the two former justices and former Chief Judicial Administrator Hassan Saeed with accepting bribes, under accusations that Jumhooree Party founder Qasim Ibrahim’s Villa Group had paid for expensive properties in Malaysia that were acquired by people linked to the three. The Criminal Court annulled their charges, stating that it could not proceed with the case based on the burden of proof. The court also nullified the case against Qasim Ibrahim’s son Siyad Qasim, who was arrested and charged with giving bribes, in the case. The court annulled the charge, stating that the prosecution had not submitted evidence that proved Villa Group had paid for the properties in Malaysia. 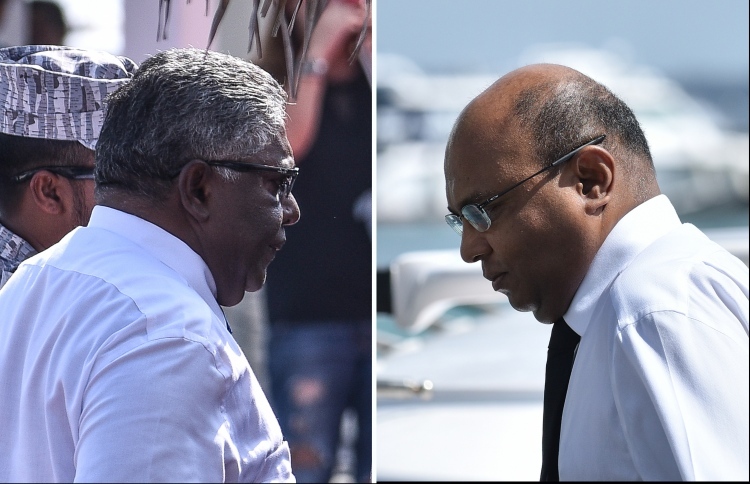 While the court has dropped their bribery charges, Abdulla Saeed and Ali Hameed are serving jail sentences of more than three years over two convictions, while Hassan Saeed is imprisoned for four months and 24 days over one conviction. The state has also levied terrorism charges against Abdulla Saeed and Ali Hameed. Their trials are currently ongoing. Department of Judicial Administration (DJA) has decided to suspend Former Attorney General and prominent lawyer Husnu Al Suood for four months. DJA, run under the Supreme Court of the Maldives, made the announcement on Tuesday, stating that Suood’s suspension is effective from Tuesday for the span of four months. 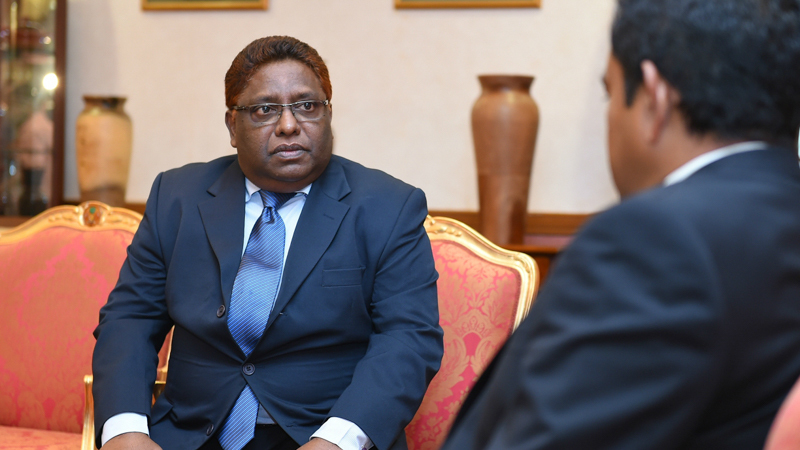 He was suspended after thorough investigation under the regulations set for law practitioners in the Maldives. The ex-AG’s suspension comes following an inappropriate tweet he had posted regarding which read that the Supreme Court’s decision to extend a presidential term in 2013 is illegitimate. It is also followed by an interview he gave to VNews in which he says that former President Dr. Mohamed Waheed’s term, who came into power after then President Mohamed Nasheed was ousted, had been extended under a Supreme Court ruling. He had gone on to say that this decision was illegitimate. This is not the first time the ex-Attorney General has been suspended from practicing law. The change of government in the Maldives presents a huge opportunity to break with the repression and human rights violations of the past and chart a fresh course where human rights are at the heart of the policies and action of the new government, Amnesty International said today. The 23 September 2018 presidential election saw the defeat of President Abdulla Yameen to the Joint Opposition candidate Ibrahim Mohamed Solih. Abdulla Yameen’s rule was marked by attacks on civil society, media workers, the political opposition and the judiciary. “This is a golden opportunity for the Maldives. The new government must break with the country’s repressive past and put the protection of human rights at the heart of its policies and action,” said Dinushika Dissanayake, Deputy South Asia Director at Amnesty International. The Criminal Court of the Maldives has remanded former Vice President Ahmed Adeeb’s legal representative Moosa Siraj for six days. Jailed Adeeb’s defence lawyer was arrested on Thursday night under a court order decreeing that publicizing his client’s statements was a criminal offence. The police raided his apartment on Friday morning and seized some documents, a pen drive, and a hard disk. Upon being presented before the judge later in the evening, he had been remanded by six days after he confirmed publicizing his client’s statements. At the remand hearing Siraj had declared that he had done whatever needed to be done in his client’s defense as he is a law practitioner. “Have any of you heard of a thing called lawyer-client privileges?” asked Siraj, going on to challenge the police service to present a law that states what he had done is illegal, which the police had failed to do. The officer investigating Siraj’s case had then claimed that the rights of President Yameen and General Shiyam had been compromised due to the statements. Highlighting that President Abdulla Yameen is a candidate vying for Presidency in the Sunday election, the officer had stated that Siraj posed a threat to national security.